The Creative Curriculum allows teachers to design their classrooms and lesson plans that are appropriate for each age group. We focus on the learning domains set out by the Florida Department of Education and our teachers supplement this with flair and imagination to give the children a fun and productive learning experience. Our infant room cares for children from 8 weeks to 1 year. We welcome these children caring on the same schedule as at home. With your we will slowly develop the children into understanding new schedules, so they can fit into the world about us. We provide formula and food so all you need to do is bring in diapers, bottles and clothing. We have an open door policy for parents to visit at any time. Children are creative by nature and with our structured program we allow their creative juices to flow. This not only brings fun with education it prepares the children for innovative thinking. Our curriculum is a research based approach, using theories suggested by phycologists such as Maslow, Piaget,and Erikson. By allowing the children to be creative with hands on activities it enhances their learning and the children will no doubt have great fun talk about their experiences here, when they get home. 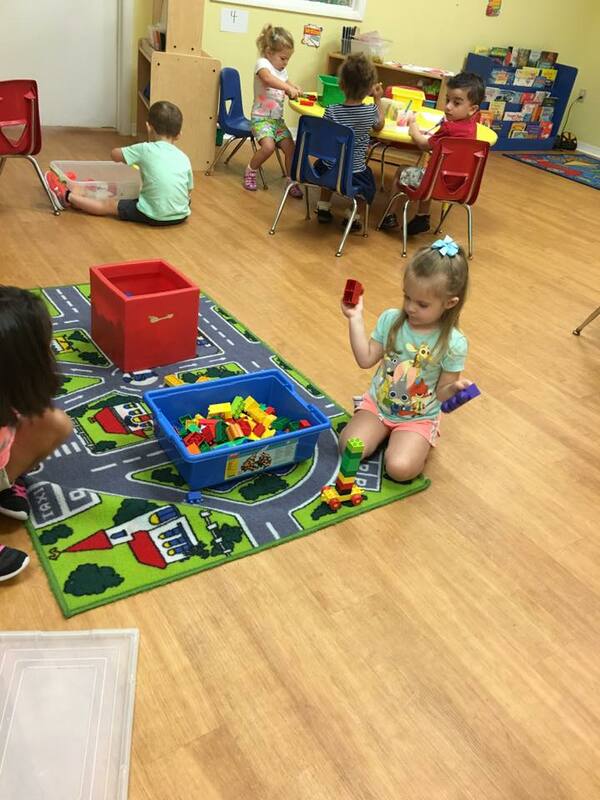 OUR Pre-K class is highly structured and will fully prepare your child for school. We conduct 3 assessment through the year to enable you and our teachers to stimulate their experiences and to consolidate their learning for the next stage of their education. You will receive full reports and progress and advice that will enable you to join in the fun of educating your child as they grow up.